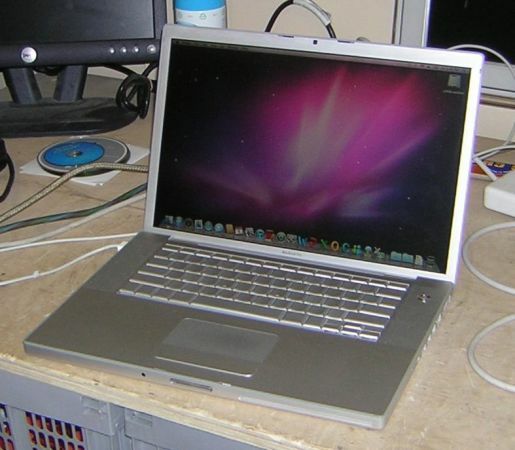 For sale is an Apple MacBook Pro 15-inch 2.16GHz Intel Core 2 Duo, 2Gb RAM, 120Gb HDD, SuperDrive, AirPort/Bluetooth with a fresh install of OSX10.6.8 Leopard, Microsoft Office 2011 and MagSafe Adapter. The battery holds a charge. Machine is MINT. Includes original box, DVDs and Remote. $ 575.00 postpaid CONUS. PayPal ONLY. PM me ASAP if interested.